Campbell & Kennedy has recently been awarded a place on the Coal Authority’s Renewables (Solar PV) Framework. The Coal Authority was set up by Government to manage the effects of past coal mining and to undertake specific statutory duties associated with licensing coal mining operations; managing property and the historic legacy arising from the ownership of the coal reserves and underground workings; settling subsidence damage claims and providing access to coal mining information. The Coal Authority’s Environment team is dedicated to the management of over 70 coal and metal mine water treatment schemes across Britain. The team is looking at ways to convert mining liabilities and waste products into assets, for instance via energy efficiency and generation. This framework, which will run for four years, will enable Campbell & Kennedy to deliver high quality roof and ground mount solar PV installations to Coal Authority sites throughout the UK. Gerry Kennedy, Managing Director at Campbell & Kennedy said, “This is a natural fit for C&K. We place great emphasis on carrying out our works with minimal impact to the environment in line with our ISO 14001 certification. Working on these types of sites calls for a company like us who will take all environmental aspects into account whilst generating maximum return on investment for our clients. Bohdan Iwanskyj, Principal Contracts Manager for the Coal Authority, said the use of solar power on its sites is part of the authority’s aim to improve sustainability by significantly reducing the carbon footprint and operational costs of treatment schemes through innovation. 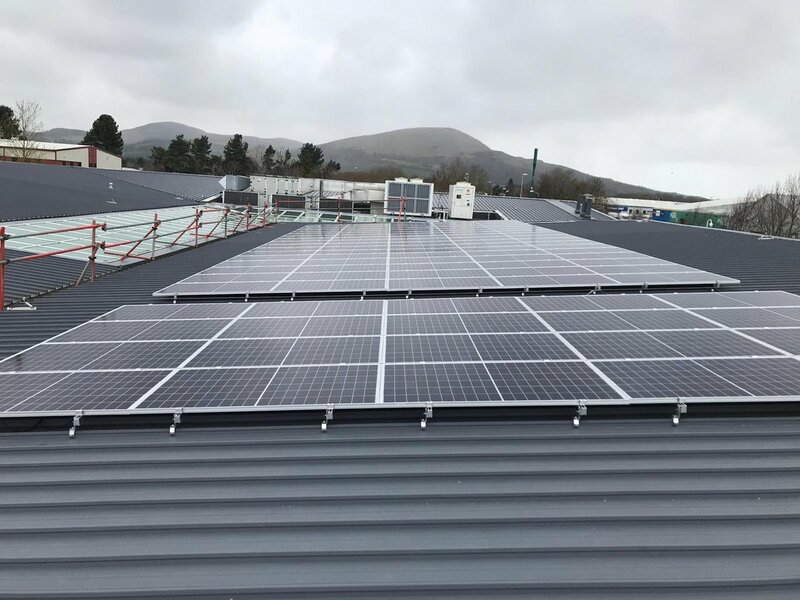 Award-winning installers, Campbell & Kennedy have now installed over 11MW to date for Local Authorities and Housing Associations, as well as their ground mount and commercial installation portfolio. Campbell & Kennedy continue to be reappointed time and time again due to their high quality works.